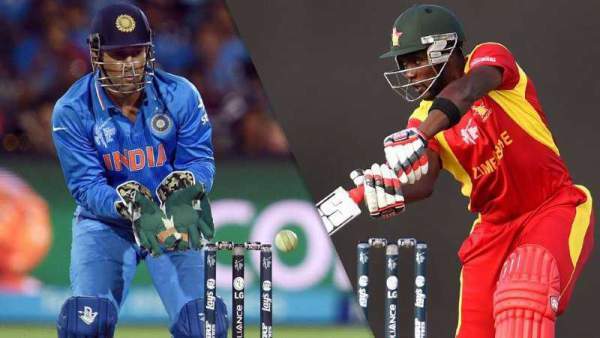 India vs Zimbabwe Live Streaming 3rd ODI IND vs ZIM Live Cricket Score 15th June 2016: Today is the third one day international game of the India’s tour of Zimbabwe. In the earlier two matches, Indian team filled with youngsters have defeated their opponents. Since 2002, the Chevrons hasn’t won a single ODI against India. The men in blue have won all the 12 encounters since then. Today’s match is the final and last of the ODI series. Thus, it has become interesting to see if Zimbabweans players can put an end to this series by putting up a huge fight else the inexperienced Indian team will clean sweep it. The team led by MS Dhoni is on the verge of creating a historic record. If the team India manages to clean sweep the series, then it will be the first ever whitewash in an ODI series under the captaincy of MS Dhoni and that too, away from home with a team full of youngsters. Moreover, it will be third consecutive clean sweep series for India. It has been done earlier in 2013 and 2015 in the African nation. In the meantime, Zimbabwean cricket team is suffering from a lot of injury concerns. Two of their good players Craig Ervine and Sean Williams have been suffering from an injury. Also, their selection is not sure yet for the Wednesday encounter. If they failed to get selected in the 3rd one day, then they will be replaced by Timycen Maruma in the playing XI as per the latest reports. It has become the fight of self-respect for the skipper of Zimbabwe Graeme Cremer. Now, what all he needs to do is to boost the confidence of their players and end the series with an intense fight. The hosts need to be more careful while playing Indians as they haven’t got the required started yet. They are expected to spend more time on the pitch to get more of the wicket and score some good runs. They need to contain their wickets and not throw away quickly in the course of the game. They have always thrown their wickets early in the whole series, and that’s is one of the reasons for their failure. The pitch conditions are expected to remain the same. Dhoni would like to give Zimbabwe the batting first if he gets the toss in his favor. As the conditions are likely to be similar, then the swing will be used as a tool for bowl out the batsmen. Well, all it depends on the result of the toss. Moreover, Dhoni and company are expected to win the series irrespective of a considerable number of changes. IND vs ZIM 3rd ODI is to start at 12:30 pm IST and 9 am local time. Below is the detail of how you can watch the live stream online and on TV. India: TV: Ten 3 and Ten 1 HD. Live Streaming: Ten Sports Live.